Suicide has become a disease, threatening to take over adolescent minds. If they're found with the side effects, The Program takes over and holds them in an institute to recover. The memories are wiped and they don't know who they were before. Sloane and her boyfriend James are struggling to get through each day. They lay low, but there's the feeling that The Program is after them. The Program was a surprising read, not because I expected it to be bad, but because it delved into deeper issues that left a really strong impression on me. What I liked most was how it used suicide to explore the issue with social problems. I think this stuck with me because it really reflected what I've recently learnt at university. Social problems exist only because authority/government deem it so, and legislations come into play to make sure that society realises it's an issue. In reality, not a lot of those issues are as major as it seems, and could definitely be resolved in a different way - i.e., Asylum Seekers. This is exactly the problem in the novel, where the government believes or at least wants to believe, that suicide is a disease that needs to be contained. Targeting the younger group is like using them as a scapegoat, who are believed to be easily contagious, and society will believe it because they'd prefer to deal with this then any other explanation. It did a great job in relaying the control authority has over the people, and how extensive moral panic can be. It really left me with a lot to think about, which I love when reading books. Plotwise, I think it was solid and to the point. It introduced the world and the characters, before moving straight into the complication. This meant that there was time for some character development and further progress with the conflict. I got to learn a lot about Sloane, her family situation, personality and just the person she was. I don't love her, but I do think she's a good character to read from. James remained a bit more mysterious, but he was written to be loved with his attractive appearance and rebellious nature. I think that Realm and Roger (a guard) were introduced to convey the two sides of authority. In Realm, you see more of humane side whilst Roger represents corruption and evilness. It really shows how there are morals to deal with, and if right will always defeat wrong. 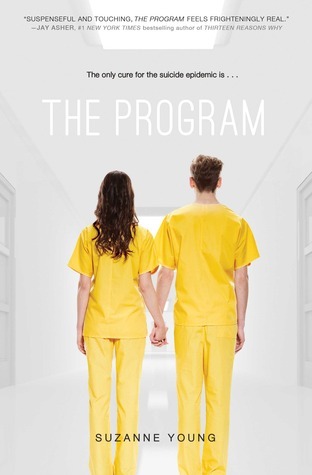 The Program was a very intriguing read, and I found that I got a lot out of it then I expected. It's not an exceptional novel, just a really thought-provoking read. Thanks for reading the review Kelly!